How does the work we’re all trying to do to fix systems and structures in our community, and our country, align with what legislature is doing? Anderson Sainci is a graduate of the University of Dubuque, where he recieved his Bachlors Degree in Business Administration, as well as his Master of Arts Degree in Communication. 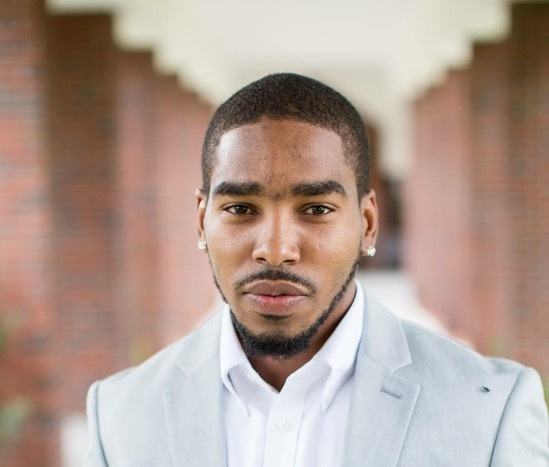 Anderson is a member of Phi Beta Sigma, where he harnesses his passion for community and civic service. “Not only do we, as brothers, build each other up- we focus on giving back to the community,” he explained. This theme has continued on through Anderson’s career in Dubuque. Anderson began his work at Americorps Vista, as a Sustainable Dubuque Fellow. He worked collaboratively with various government offices throughout the city, and focused on community engagement and educational outreach. He continued his work with Americorps as an Economic Development Intern. He has gone on to continue his work with both local government, and community engagement. Currently, Anderson holds a range of positions. The first is as a Resource Management Coordinator and Supervisor for the City of Dubuque, where he focuses on curbside collection for the city. He has a focus in sustainability as it pertains to the environment, economics, and social culture within the city of Dubuque. He works with various community partners to facilitate equity and inclusion within the community. He is also involved with My Brothers Keeper initiative, which focuses on creating systems that work for boys of color. “I believe that we can fix the education system to allow kids, at a young age, to know what they want to be when they grow up, and push them to do something society says they aren’t supposed to do,” he said of his passion for the group. Similarly, Anderson is part of the Dubuque Black Men’s Coalition, which is a network that supports the challenges the city is facing as it grows more diverse. “We want to ensure that we have a support system, and are able to give back to the community,” he explained. The coalition hosts various programs to ensure this mission is reached. Their current program, the Manhood Project, is one of many initiatives that is focused on empowering young men of color. Anderson serves as a community connector, bringing the stories and experiences he hears from his community, to the local government that serves it. “Local government and grassroots organizations allow me to know what’s going on, and to be that bridge,” he said. Looking forward to the Gathering, Anderson is excited about creating relationships and starting a dialogue about the challenges of our communities. “What are the challenges people face in their communities? And what solutions are they having conversations about?,” he added. Follow @Groovey1914 to keep up with Anderson at the Gathering! Watch Anderson's submission video here!